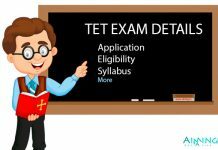 GDCA Exam Details - Eligibility Criteria, Exam Pattern, Syllabus, Registration, Training Institutes and etc. GDCA Exam is conducted by Maharashtra Public Service Commission every year at a state level. Department Accounts, Joint Registers, and Bombay civil service Rules, Discipline Appeal Rules and Power of Registers in these particular places the training for GDCA is giving. 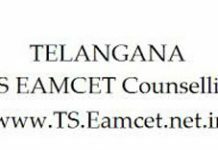 In this posting, we are giving you about the information like eligibility, syllabus, exam dates, question paper patterns etc. The students who only qualify Bachelor Degree of commerce with 50% and only Maharashtra government employees can apply for this particular GDCA examination. Interested one should visit the company website. There is an availability of the online application. Fill it. Definition and principles of cooperation, History importance relevance, and significance of co-operation Growth of Co-operative movement in India Development of Co-operative movement Role of relationship in co-operative movement Place of Co-operation in modernization and privatization of the world. a) Main Recommendation of the following committees and study of such other committees as may be announced from time to time. 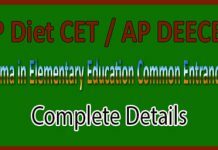 GDCA exams the first stage is an Initial stage which includes questions which are based on general knowledge and this paper consists of two hundred marks. It is the second stage and consists descriptive type questions some of which are based on Gujarati, English while other question will be from technical department. Two hundred marks are carried by this GDCA exam. Every year in the month of May this GDCA exam is held. During December application forms are available.Usually, the exam will be conducted 24th, 25th and 26th dates of the May month every year. This gives a candidate a better Government position in auditing field. After clearing the exam you are awarded a full license for your accounting and auditing works. Provide training to Grade III Employees and office and Departmental Training to Gazetted and Non Gazetted employees. Yashwantrao Chavan Academy of Development Administration.